Daniel Lobo is an Assistant Professor at the University of Maryland, Baltimore County. 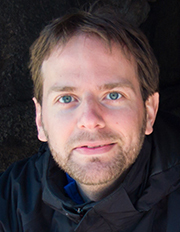 His research in computational systems biology aims to understand, control, and design the dynamic regulatory mechanisms governing complex biological processes. To this end, his lab develops new computational methods, databases, and high-performance in silico experiments to automate the reverse-engineering of quantitative mathematical models from biological data and the design of regulatory networks for specific functions. They seek to discover the mechanisms of development and regeneration, find therapies for cancer and other diseases, and streamline the application of systems and synthetic biology. Join my group to create the next generation computational methods to discover, understand, and control complex biological processes. Please see here for more information about available positions.